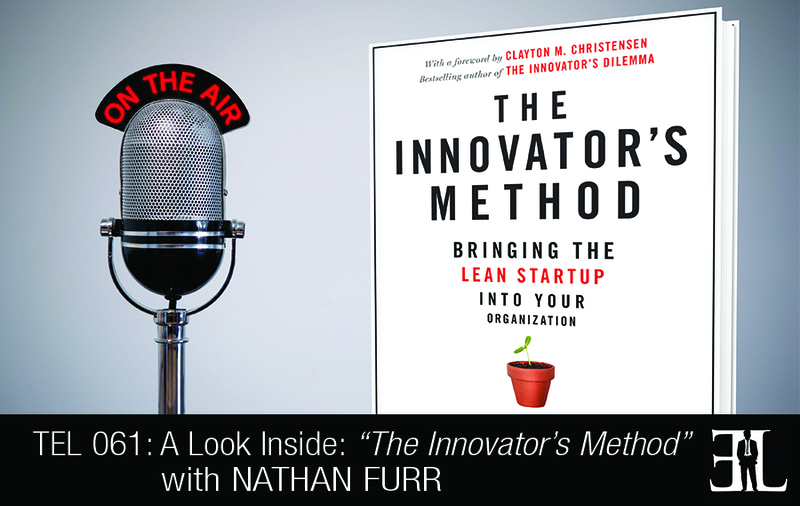 In this episode Nathan Furr gives a detailed summary of his book, The Innovator’s Method. This book provides the ideal process of an innovator’s phase: the insight, problem, solution, and business model. We acquire information by observing the glitches around us and present a solution. Digging deep will find us an explanation and creating a business model to market the proper need. Whether you are an entrepreneur launching a start-up or re-establishing a present one, this book is an excellent resource. One thing is that we are trying to synthesize all these different perspectives. By synthesizing what is common across these methods we can get a richer and fuller view of the innovation process. The second thing is we did a bunch of research on how entrepreneurs and managers apply the innovators method. The third thing is it expresses the need to think seriously when we manage uncertainty. I recommend you blow through it from beginning to end and then go back for reference. The one principle that I would want the reader to take away is that if you are facing uncertainty you need to employ a different way to manage that uncertainty. The different way is to identify your unexamined assumptions, design a liable but low cost and rapid experiment to test that assumption and lastly you need to change when you discover what the answer is. At the heart of this book there is an end to end process that is laid out and what we saw was common across the innovators we studied. We lay this process out as four steps before you start to scale up the business. These four steps are insight, problems, solutions and business model. Insight is all about looking for surprises in the world around you. These surprises are the clues or symptoms of a deeper customer need. Once you’ve got insight we then propose the need to understand the costumer problem or job to be done. Here we provide tools and test to help you figure out the need of your customers. After you deeply understand the need you can then work on the solution to the need. In this section we talk about how you can leverage four hipper rapid prototypes to get a solution that delights customers and almost sales itself. Lastly you want to align the business model by discovering the right go-to market strategy. After you have taken these four steps you are now ready to scale the business. I earned my Ph.D. at Stanford University in the Stanford technology ventures program. I’ve worked in management consulting, I’ve been an entrepreneur, worked in venture capital and across those experiences I wanted to spend some time sharing some of the insights that I discovered along the way. When I was at Stanford I used to hear disparaging comments about business schools and management and I wondered why I was hearing such negative things. As I started to dig into history I discovered something surprising and that was that management schools did not exist until the late industrial revolution. Business schools where founded to manage problems of relative certainty and what we left unanswered were how to manage uncertainty.